Many people dream of conquering famous mountain such as Everest, Phanxipang… while the rest may think, “It’s not for me.” If you are the rest, let me introduce to you an interesting mountain that you can conquer it at home (even on your bed) and experience the great feeling about yourself: Pi Mountain. Well, It\’s just a fancy name of the task: Memorize Pi Number. Why should you try to memorize Pi number? Conquering something is not important than the way you conquer it. To me, memorizing Pi number is a special experience. 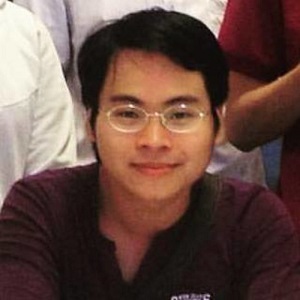 It not only strengthen my brain but also make me believe that nothing is impossible when you have a possible solution. Just try memorize Pi number and experience a different version of you, with unlimited potential. Except that you are a genius, there is no way you can memorize thousands digits of Pi number by the old way at school: repetition. You need some memorization techniques and there are lots of them. I\’ve tested them all and here are my 2 most favorites memorization techniques. That\’s funny and easy to remember, right? But the most difficult part of this technique is to find the rhythmic words. Don\’t worry, just go to rhymezone.com and type into the box. That\’s done! You will get many words that are rhythmic with the input word. Now just try this memorization technique with the next eight digits in Pi Number: 35897932. You can split it into groups of two-digits: 35 – 89 – 79 – 32. Then goto RhymeZone.com and look for “three five – eight nine – seven nine – three two”, what do you find? Don\’t forget to comment. What is Numagician? It\’s the art of drawing things from number. By adding creative strokes to familiar numbers and turn them into cute things, you will make people say wow. Let\’s see some examples below. I don\’t want to brag but… this was invented by me. I\’ve spent five years to find things hidden in the numbers then draw them. 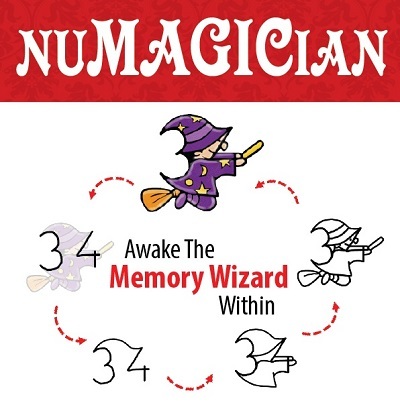 Now let\’s see how fast this system can help you memorize Pi number (or any long numbers). E.g. 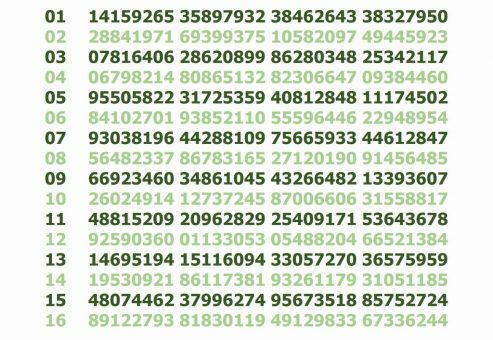 we take this sequence of numbers in the Pi Number: 38 46 26 43. In Numagician System: 38 is a wedding ring, 46 is a cannon ball, 26 is a snail and 43 is windsurfing boat. Now just make a funny story to remember them quickly. E.g., “A ring (38) fire a cannon ball (46) to a snail (26) on the windsurfing boat (43)!” That\’s very easy, right? I strongly believe that with two cool new memorization techniques above, you will conquer the pi mountain very easily. Just separate them into smaller row with sequences of eight numbers. Then spend 15 minutes each day to learn a row, then revise the old ones, you will master it in less than two weeks! 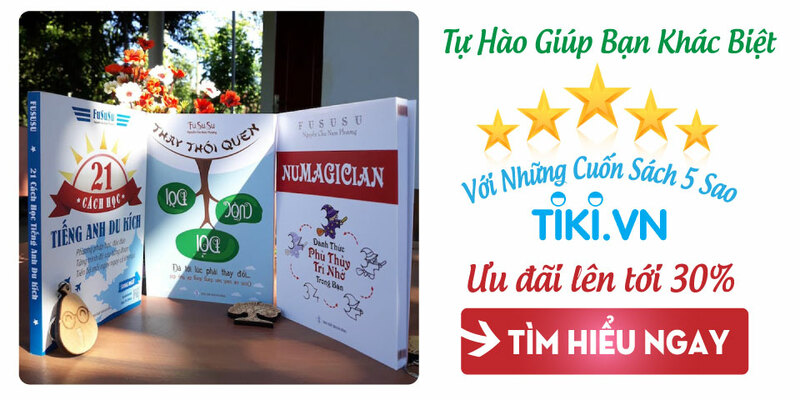 For 5 years, I\’ve spent time for discovering the images hidden in each number from 1 to 100 and wrote an ebook (and also a mobile App) to help you get the most benefit of Numagician system. Just leave your email below then I will send you direct link to a 40-pages ebook that help you active your super memory. Please note that: I hate spam, too. And if you see the email arrive in promotion tab of Gmail, just move it to the primary box to get more interesting gifts from me.